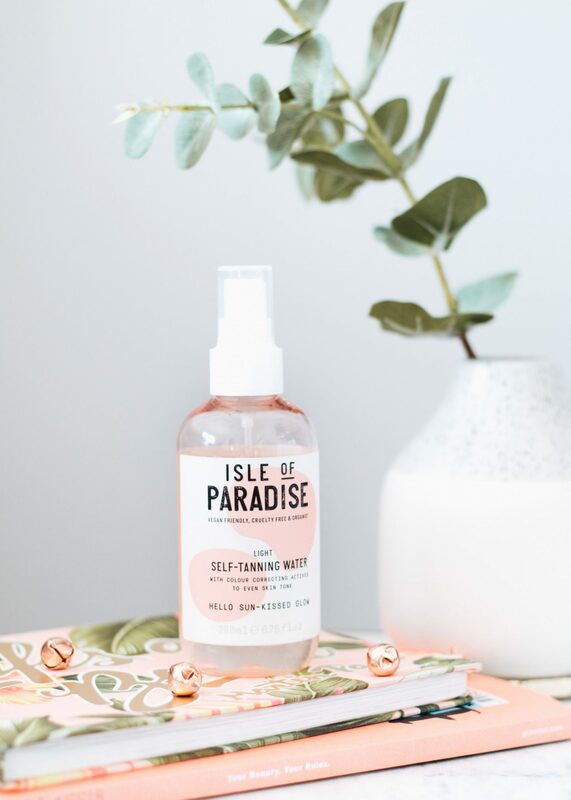 Isle of Paradise, the newest self-tanning brand on the block. It’s become very popular amongst bloggers and rightly so, I mean look at that packaging. They have a few product options to choose from, which includes a tanning mousse, gradual tan and tanning drops. However, the product thats been on everyones radar is the Self Tanning Water. Since summer has arrived a little early this year, I decided to give it a try and see what the fuss is all about. I opted for the shade ‘light’ as I’m extremely pale in the first place and felt like medium or dark might be a bit too much. I’ve never used a tanning water before, mainly because you don’t get a guide like you would with a mousse for example, so you just have to hope for the best. So off I went spritzing it across my body, then using a tanning mitt to gently rub it in. I decided to apply it before I went to bed so I could let it develop overnight, which I thought would be the best option. Although, it felt quite sticky and did make trying to get to sleep quite uncomfortable, I won’t lie. So, fast forward to the morning when I quite literally woke up orange. I didn’t think much of it because sometimes that happens with fake tan and then you have a quick shower and it fades away a bit. But oh no, this did not fade at all. Not only did the tan not look natural, but it was extremely patchy too. Especially across my wrists, inner calf and thigh area which was so disappointing to me. I tried to use some exfoliating body scrub to try and even it out but that didn’t work and the patchy areas wouldn’t budge, so I just had to stick it out and rock the uneven tan for a few days. I really was expecting a natural tan with this as thats what it states on the bottle, but it didn’t look natural at all. I didn’t have a sun kissed bronzy glow like I’d desperately hoped which was so disappointing as this isn’t the cheapest tan on the market, coming in at £18.50. As much as I wanted to love this, I just don’t, which is such a shame. Although I’d like to give their mousse a try as I seem to get on much better with a mousse formula, so it’d be interesting to compare that to my two trusty favourites; the St Moriz Fast Self Tan Mousse and Skinny Tan Express Mousse. 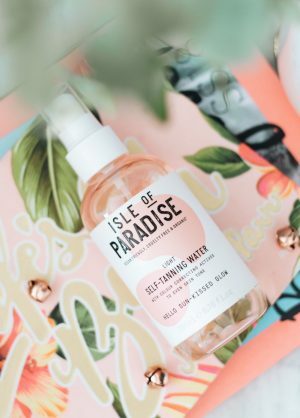 Have you tried anything from Isle of Paradise?